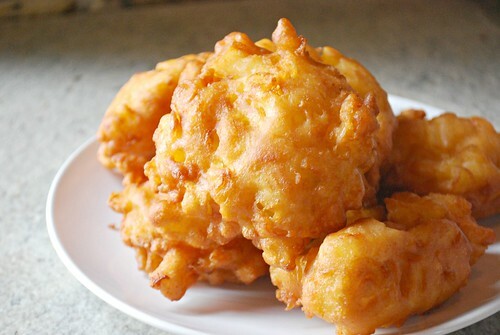 Heat the oil in a deep fryer or electric skillet to 375 degees. Add milk, eggs and oil, stirring until well blended. Stir in apples until evenly distributed. 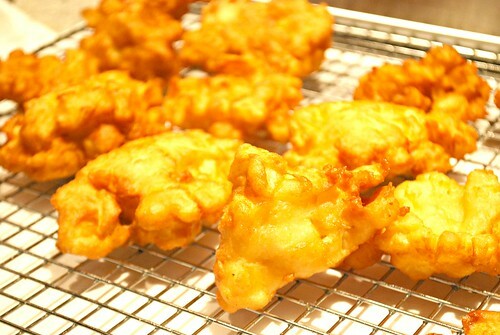 Drop spoonfuls of the batter into the hot oil and fry until golden on both sides, about 5-7 minutes, depending on the size. Fry in small batches to avoid crowding. Remove from hot oil using a slotted spoon and drain on paper towels. Toss with cinnamon sugar while still warm. 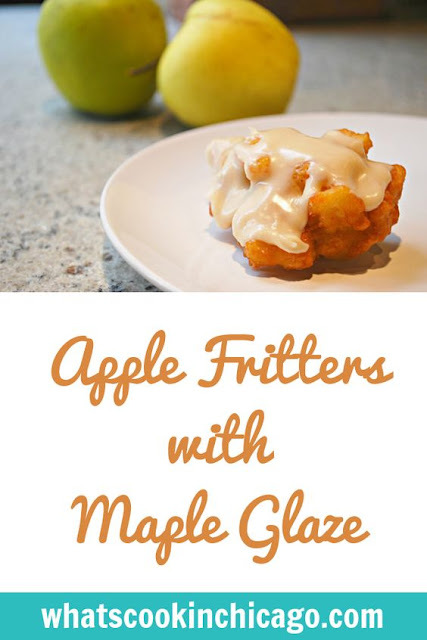 Combine maple syrup and extract in a medium bowl. Slowly whisk in powdered sugar until smooth, adding half & half to smooth out the consistency. Mmmm, I definitely need to try these! 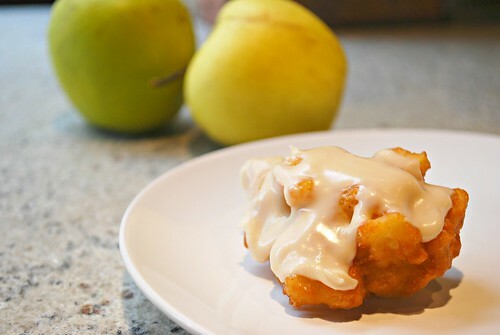 I LOVE apple fritters! They look delicious!